Unsophisticated and unpolished is a great way decorate in rustic way. 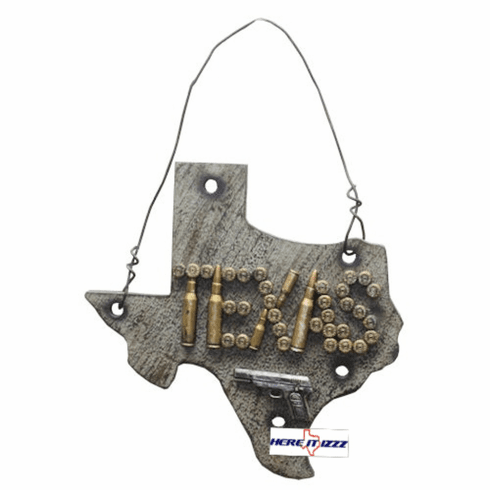 Our Texas bullet wall plaque is a map outline of the State of Texas cut in wood. Texas spelled in bullets and shells in a creative way. And a semi-automatic pistol to let the world know you take care of your own business.